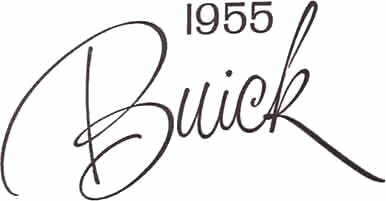 With the typical thoroughness they apply to every phase of car comfort, Buick engineers have perfected an air-conditioning system which overcomes the many problems of car cooling in a practical way. The following illustrations show how this Buick Airconditioner tops any other system you can buy today. Compact. 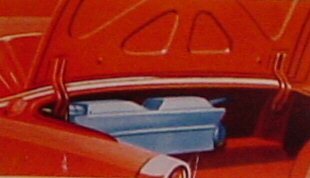 The Buick Airconditioner "cold coil" is stored for back on the trunk shelf -- completely out of the way of luggage. Compressor is under hood. Automatic and quick cooling. Set the temperature you want -- up to 270 cu. ft. of air per minute flow in to cool down hot interiors in just a few minutes. 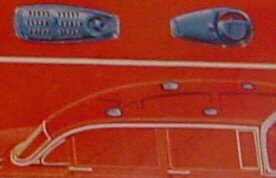 And even if you're moving through slow city traffic, you'll get quick cooling with the 1955 Buick Airconditioner's considerably increased condenser and compressor capacities. Draft-free, individually controlled. Four outlets, one over each side window, let passengers regulate and direct gentle stream of incoming air for maximum comfort. 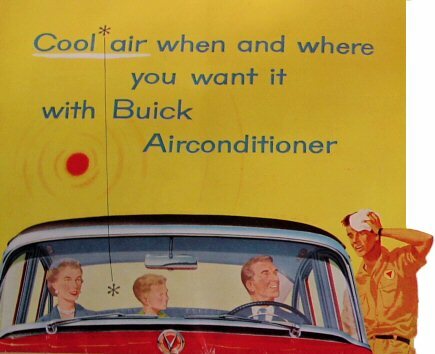 You'll find driving with a Buick Airconditioner always brings you to the end of your trip feeling far more refreshed. In addition, because windows are closed, you travel in a golden silence undisturbed by wind and traffic sounds outside. Always cooler and fresher inside. 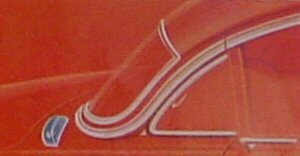 Two air scoops bring in continuous supply of outside air. So cooled interior air is always fresh, filtered, freer of dust and pollen. Because of this total filtering , many owners user their Buick Airconditioners for longer than just through the hot season. Available in all 1955 Buick 4-Door Sedans and Rivieras. The Buick Airconditioner's cost, when you consider how much pleasure and comfort it gives, is moderate indeed.